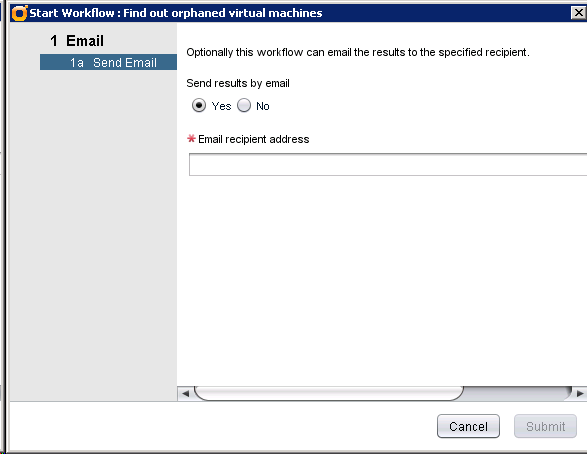 vCO comes with many useful workflows. ‘Find orphaned virtual machines’ is a good example. It is designed for preventing the VM sprawl by finding out the orphaned virtual machines. The workflow works fine without any customizations, but I prefer to make it simpler. 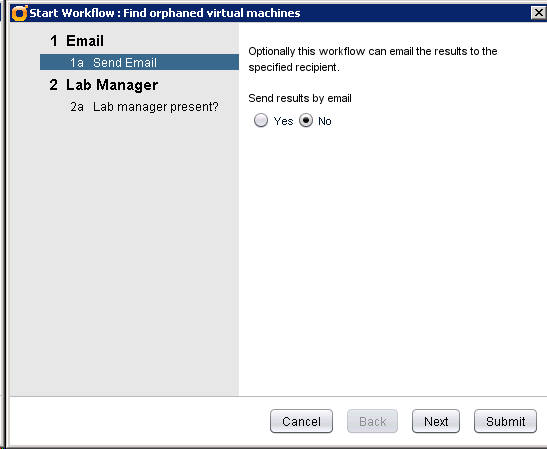 So I made a copy of this workflow, and named it as ‘Find out orphaned virtual machines’. 2) Comment out the isLabManagerFould entry in the ‘Get All Unknown vmdk’ script task. 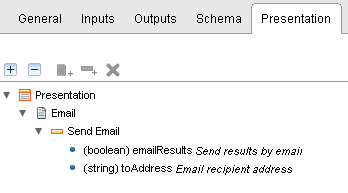 3) Hard code the SMTP settings in the ‘Email Results’ script task. A report will be sent to the user’s Email address after completed.